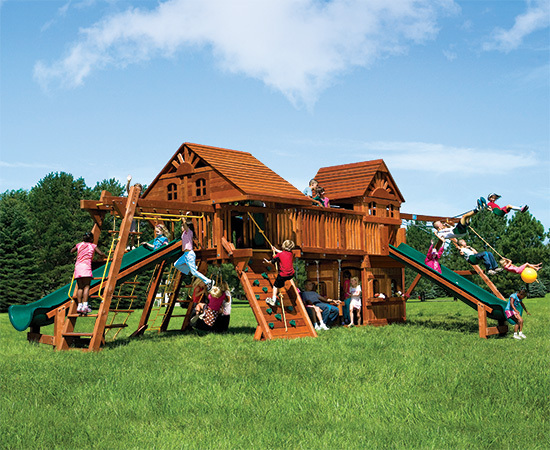 This is the Original “BIG” Clubhouse. 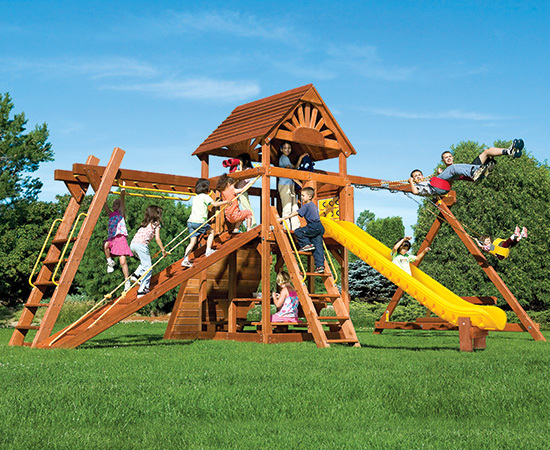 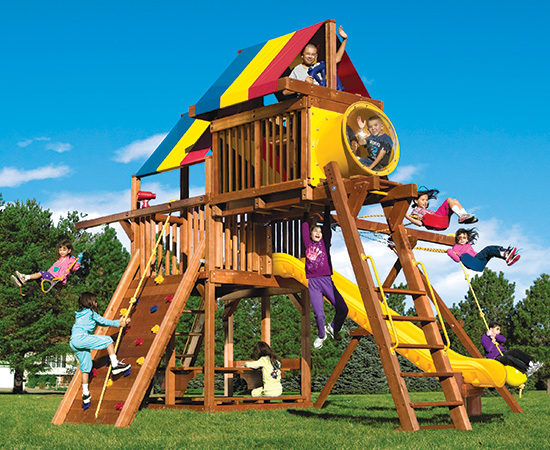 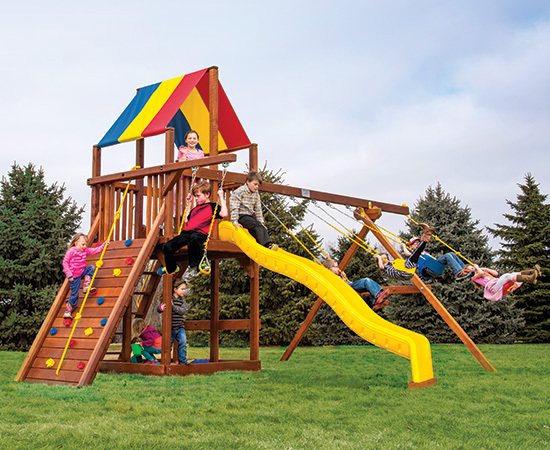 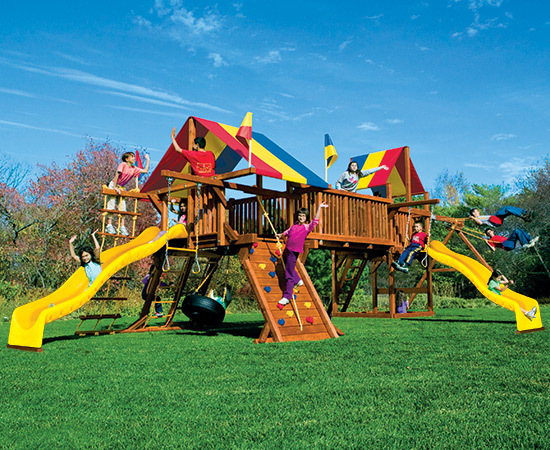 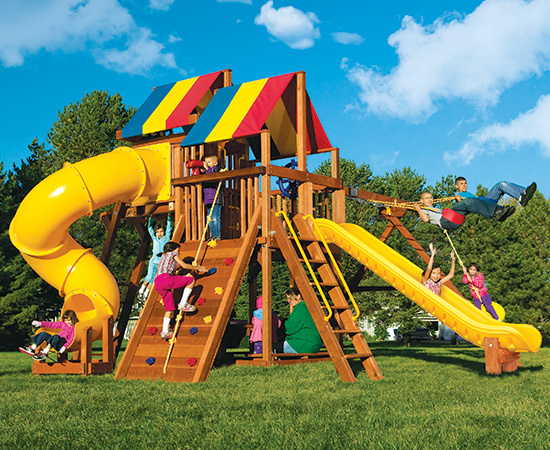 The Rainbow Clubhouse swing set is the Gold Standard in quality, safety and beauty with so many ways to customize and so many features to add on later. 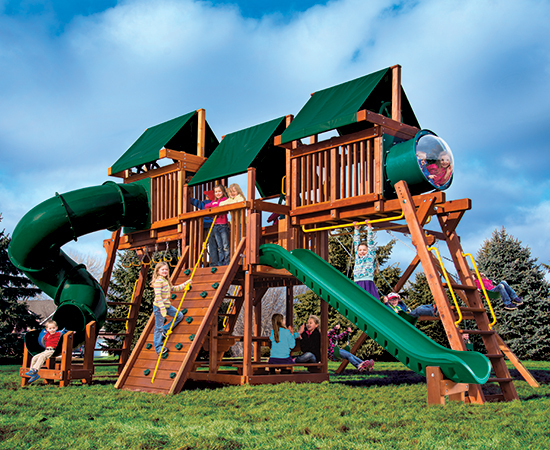 Bigger than the Sunshine Clubhouse and even more versatile with 8 rail openings which allows incredible design freedom. 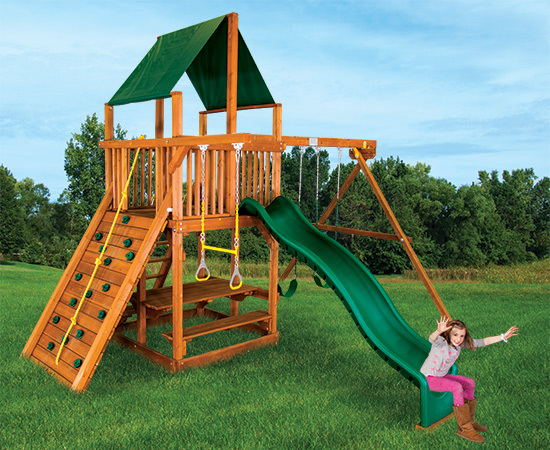 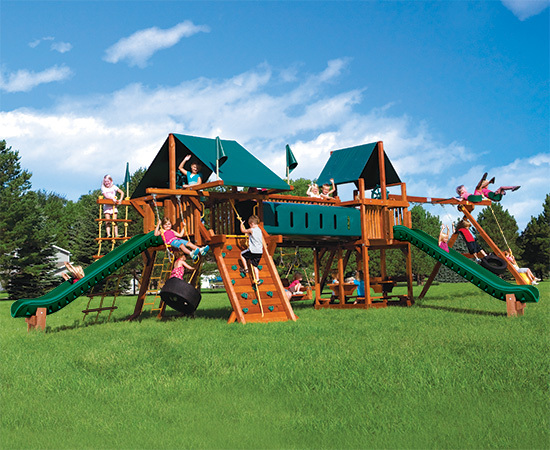 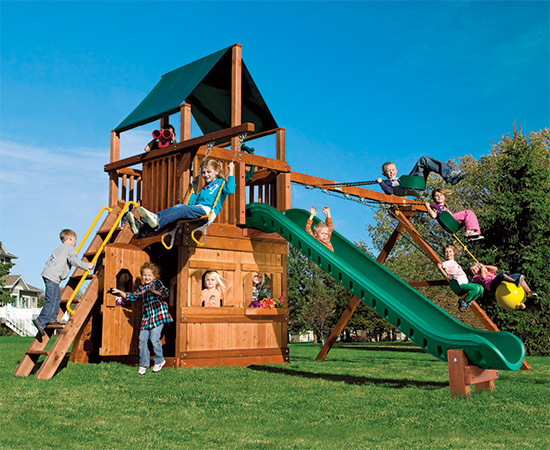 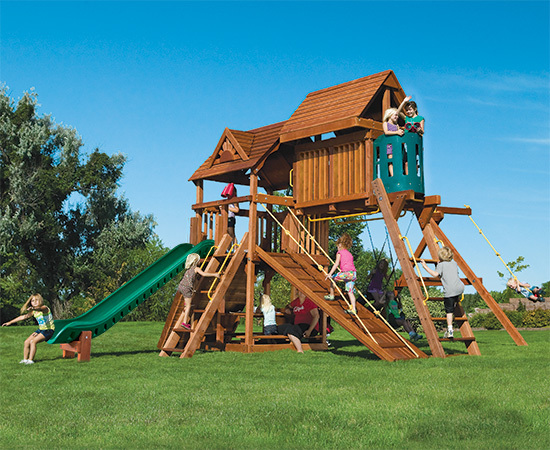 Add a rock wall, lower level playhouse, or even a picnic table for a late afternoon tea party!